The difference between a good and bad investment can be very subtle. All too often, an uninformed consumer will purchase something, assuming that it will be highly valued later in life. Unfortunately, sometimes things just don’t pan out that way. However, sometimes they do. The difference between making and losing money often lies within the person. Just because a person is a first-time investor does not mean that they have to make the common mistakes that so many novices do. Buying rare coins has incredible potential to go either up or down. Because of the unique nature of the rare coin market, a simple error can cost thousands of dollars. This risk is not without its reward, however. Quality pieces tend to age lie a fine wine, growing in value at a much faster pace than other common investment vehicles. A prudent investor can add great stability and growth to their financial portfolio by buying the right coins. Before spending any of your hard-earned money, it is crucial that you do some research. You will want to understand how the rare coin market works and fluctuates, what to look out for and what to watch for, and how to buy them safely. Like any investment, the people that you are buying from will make all of the difference. There are dealers out there who may try to pull a fast one on a new investor, but there also plenty who will help you to make informed decisions. The best way to be able to buy rare coins confidently is to simply avoid any dealer that you are not completely confident in. A prudent coin investor knows when to say no, even if a deal seems like an amazing opportunity. Rare coin dealers don’t really have any reason to offer quality coins for less than they are worth, as rare coins are highly liquid. If they are charging a fair price, someone is inevitably going to buy it. Even if a company is going out of business, they should not have a hard time liquidating their entire inventory at a fair price. You should also be wary of dealers that have flashy advertisements that appeal to the basic senses. For example, a flashing internet pop-up ad that advertises flashy gold coins and promises extraordinary wealth is not likely to provide a quality product. Remember that one rare silver coin that may look underwhelming can be worth more than a trunk full of shiny gold coins. You want to seek out the dealers that have clearly been in the business for a while. Dealers that have solid reputations among numismatists, are accredited by legitimate organizations, and who sell coins that have been graded by top-tier grading services, are the ones to look out for. They will take your investment seriously, and help you to get all of the information that you need to make the right choice. You should never feel pressured or enticed into buying a rare coin. If you are willing to put in the effort, you can invest in rare coins that will actually be quite profitable in the long run. These days, fiat currency just is not ideal for long-term savings. Rare coins do not offer a way to get rich quick. Instead, they allow investors the opportunity to buy a timeless artifact that has real intrinsic value, and high potential. 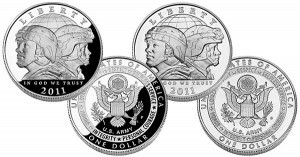 If you would like to learn more about the forecast for 2013 and beyond, talk to a coin dealer who has been in the business for years. Their first-hand experience can be incredibly valuable to a person who is looking into avoiding common coin collecting mistakes that so many beginners make.